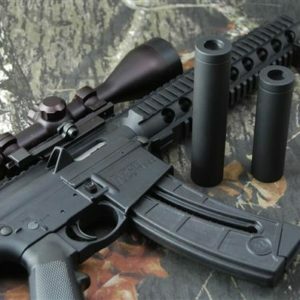 Quickly and easily convert your stainless non-threaded barrel to 1/2″-28 threads so you can attach muzzle brakes and other end-of-barrel accessories. No machining required, and less expensive than going to a machinist or gunsmith to thread your barrel. Now you can mount any 1/2″-28 end-of-barrel accessory on your rifle’s non-threaded barrel—including muzzle brakes, flash suppressors, compensators, sound suppressors, or fake flash hiders and suppressors—with this high-quality barrel thread adapter. 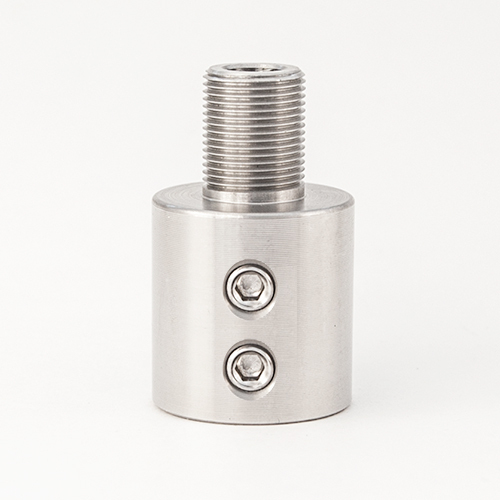 This stainless barrel thread adapter easily attaches to the factory-finished plain muzzle using two set screws. You can install it yourself in minutes, and remove it just as quickly. Based on precise measurements you provide after ordering, we can custom machine this barrel thread adapter to match your barrel’s diameter. 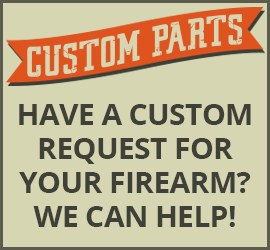 Custom-machined to fit your non-threaded barrel. Slip-on design is held in place with two set screws that remain flush when tightened. Note: If your rifle has a front sight that is more than 1″ behind the muzzle, this thread adapter will still fit. To ensure a proper fit, please email the following information to [email protected] immediately after your purchase. See How to Measure Gun Barrel Diameter for measuring instructions. 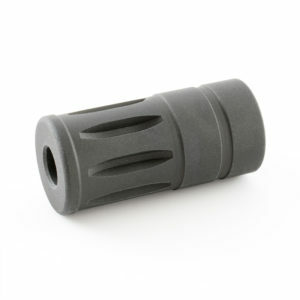 Barrel Diameter – Precise measurement at the muzzle and 1 inch back. Bore – Can be from .5 up to 1.0 inch. 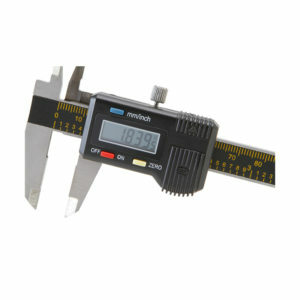 Note: Measure using quality metal calipers or a micrometer to ensure a proper fit. If you do not provide measurements during checkout, we will send you an email asking for the missing information.